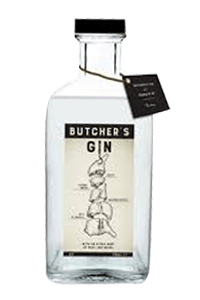 The Butcher’s Gin is the first gin based on Secreto 07, delicious tender and flavorsome dry aged beef that is rubbed with a secret mixture of herbs and spices. 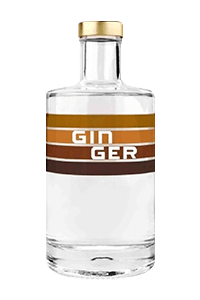 Tasting note The Butcher’s Gin is a spicy, characterful gin that is best enjoyed with Schweppes premium pink pepper tonic, garnished with a lemon zest, a pinch of pepper and fresh basil leaves. Have you ever had a taste of madness? Think of an awakening forest. Breathe it in. The scent of Crazy Monday. It is where the magic begins. An army of elves throwing a party in your nose and melting into a dance of folly in your mouth. Lavishly sprinkling around citrus and herbs, lightning bonfires within. And then, whoosh, the dance of the butterflies. Crazy Monday is liquid madness. This gin’s got balls. It’s made in Belgium and totally bonkers. In order to drink it, you need tonic and a twisted mind. It tastes insane, but have no fear: insane is the new normal. Let it take you to where the party’s at. It’s Crazy Monday time. Near the Belgian coast the dunes give a rich environment for particular botanicals, one of these is the Hippophae Rhamnooides or Sea Buckthorn berry. This rich berry blends it into his favourite drink. On the nose it has the refreshing smell of sea berry mixed with the juniper berries. The very typical sweet-sour taste of the berries is well balanced in the mouth and is supported by a complex mix of herbs and spices. “The Golden Apple” is a handcrafted premium gin and contains 9 separately distilled botanicals. Juniper berries, Japanese Fuji and Belgica apples are the leading ingredients. Not less than 23 kg apples are used to produce 100 litres of gin. With tasting notes of Indian cinnamon and Spanish lemon, The Golden Apple is very accessible and perfect balanced. We are convinced that GILLIAM’S GIN will stay in people’s mind as refreshing and innovating. 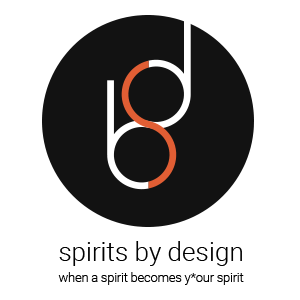 World Gin Awards 2017 (Category Winner): Best Belgian Contemporary Style. Seven carefully selected botanicals, including galanga root and lemon thyme gives Ginger its unique character. In this fresh gin you discover notes of coriander, faint spicy results of ginger, cardamon, dryness of angelica and complexity of lemon thyme. The high concentration of essential oils makes the gin cloudy under the influence of ice. – Superior Taste Awards(iTQi): 2 golden stars. 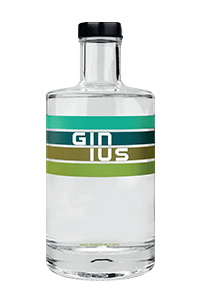 Nine carefully selected botanicals, including lavender and laurel give Ginius its unique character. 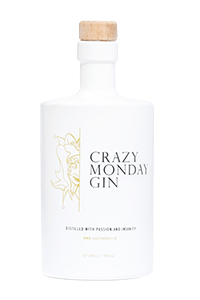 In this robust gin you discover fresh notes of grapefruit and lime, subtle floral results of lavender, black pepper heat, dryness of angelica and complexity of laurel.The high concentration of essential oils makes the gin cloudy under the influence of ice. Culinary gin made for Michelin star chef ‘Kristof Marranes’ from Ter Leepe*. Premium Marine gin from distilled lobstar with Parsley and lemongrass. A unique gin has been created at what is most likely to be Belgium’s oldest distillery. As jenever, the original inspiration for gin, was first distilled in Belgium, Meyer’s Gin creates a new evolution in the world of gin. A unique class of its own: First Class! The Hardy kiwi looks like a grape but tastes like a ripe kiwi – aromatic and fruity. The addition of the kiwi berry to the gin’s recipe lifts its flavour to unknown heights, and gives the gin its very soft and smooth character. It’s a party in the glass and on the palate, and is handcrafted by our master distiller. For the first time in history, asparagus can also be enjoyed in the glass.  This premium gin, created and produced by Spirits by Design, is yet again unique in the history of Belgian gin distilling, and prides itself on the fine aroma of asparagus on the nose, and its exquisite taste on the palate. The gin world has never been more diverse and elaborate than today. As a result, a gin must do the unexpected in order to be noticed. And M2 certainly does take everyone by surprise. Moreover, this new gin, which pays tribute to the Flemish asparagus, blows everyone away. The M2 is culinary daring and a top product in the glass. Og’Ir, the Celtic name of a small medieval village in the west part of Belgium. This is the place where the idea rose to integrate three matching and exotic botanicals: pomegranate, blood oranges and lemon grass. It resulted in a crisp, citrus gin with an overall balance so every main ingredient stands out. 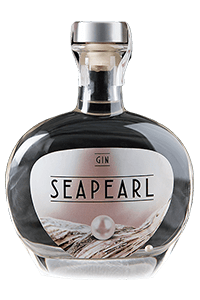 Seapearl is a gin made for Christof Malysse from Lobster Fish. This unique piece of work resulted in a silty gin with Salicornia and green sea berry as main botanicals. The finish has a citrus crispiness from lemongrass. Lobster fish didn’t spare any effort at all to make their bottle unique… Every bottle contains a pearl. 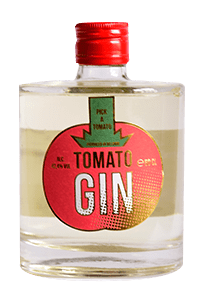 Rock-Fort boys, Hermes Vanliefde and Peter Laloo, joined together their passion for tomato’s and gin in a bottle. This gin will swipe you of your feet and take you directly to the Mediterranean sun. Aroma of rosemary, juniper, coriander, cardamom, black pepper and off course… Tomato’s!! A classic juniper berry based gin made for ‘Angel’s share’ in Leuven. The funny thing about this gin is that it is developed to be aged in a peaty Laphroaig barrel cask. Working with the classical gin botanicals didn’t stop us from giving a twist to this one… By using white sesame as special ingredient, we can provide a very round and long aftertaste. In fact, this is ‘D’s Neatgin’ barrel aged on a Laphroaig cask. So, first the barrels are used by Maker’s Mark Bourbon, then they go to Laphroaig for their peated whisky and then they come to us. This results in a juniper berry style gin with a half peaty nose (smoky) and in the mouth, we have a round and full gin with hints of peat and a white sesame finish. Holy Water Cuberdon is based on the Ghent purple candy cuberdons, also known as “noses”. It is playfull and sweet without being sticky. It’s a must try! Holy Water: Mustard Gin is a unique in the world gin, made with 2 different kinds of authentic mustard from Ghent – Belgium (Tierenteyn Extra & Tierenteyn à l’Ancienne) and classic gin botanicals. It has a peculiar & spicy taste. B1863 is made for HoReCa Blankenberge. It is a fresh gin with a silty taste, the main botanicals are Kaffir Lemon & Salicornia. The name of the gin en the picture of the branding is referring to the growth of Blankenberge city in the 19th century. Thanks to the brand-new railway track that was built from Bruges to Blankenberge in 1863. B1863, a bottle with history! Joumani Premium Gin, is perfectly layered gin with high quality botanicals. Orange in the nose and a hint of cinnamon. These tastes blend perfectly in the mouth. In the mid build a pleasant warmth comes forward from ginger, then everything fades away gently in a long finish. Perfectly enjoyed neat with some fresh orange zest or in perfect serve with Schweppes Premium Mixer Orange Blossom & Lavender. 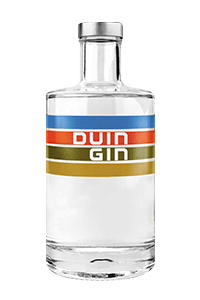 This conceptual gin has been made for Bistro Bruut in Bruges. Our client wanted two main things in the gin: first, ‘Gruut’, the medieval spices that were used for brewing beer and second ‘Mede’, the medieval honey wine referring to the bridge next to the restaurant. The branding was done by the client himself and is based on the big painting hanging in the dining room. Bruut Gin is very aromatic with a lot of spices (rosemary, sage, black pepper) and a floral touch of the honey. On the tongue, you get the power of all the herbs we used, with a very long aftertaste. Mix it with a neutral tonic and add some lemon thyme and a wedge of kumquat. we can finally release our N°01 premium spiced rum. a hint of vanilla and cinnamon, a touch of orange, a blend of coffee and cacao, and other secret ingredients. No other rum spans such a spectrum of exotic flavours. A must-have experience for your taste buds!